If you’re not sure where to start with a home renovation, maybe you should look no farther than the entryway. Although staircases are a utilitarian feature, they also take up a lot of visual space and have the potential to make a big impact as a design feature. 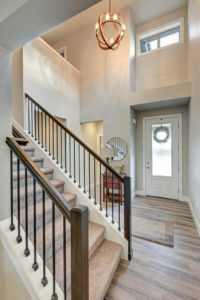 KBC Remodeling Services in Longmont are experts in home renovation and have the staff to design, craft and install a variety of custom staircases to reflect your personal style. For a modern aesthetic, open up the stairs by removing the back or having them float. Taking the risers out (the vertical connection between treads) emphasizes the horizontal repeating pattern of stairs. If there is an adjacent wall to anchor the steps to, then they create the dramatic illusion of floating or if a center stringer underneath is necessary, then it can be highlighted as an architectural element. Glass and metal are the materials of choice for a clean, minimal look. If your taste leans more towards traditional, consider adding style and function with custom tiling or carpeting. Putting decorative tile on the risers creates a striking focal point, and increases the durability of your staircase. Adding a runner can also make a statement while decreasing the wear and tear on a stairway. If you’re looking for grandeur, intricate railings and curved newel posts add a touch of elegance. Make use of the wasted space beneath the staircase! When every square foot counts, increase the function of your stairway by installing more storage, a powder room, a small office space or even a fun play area for the kids under the stairs. Regardless of style preference, good design makes use of contrasts which is easy to accomplish with different materials or light and dark variations on stairways. 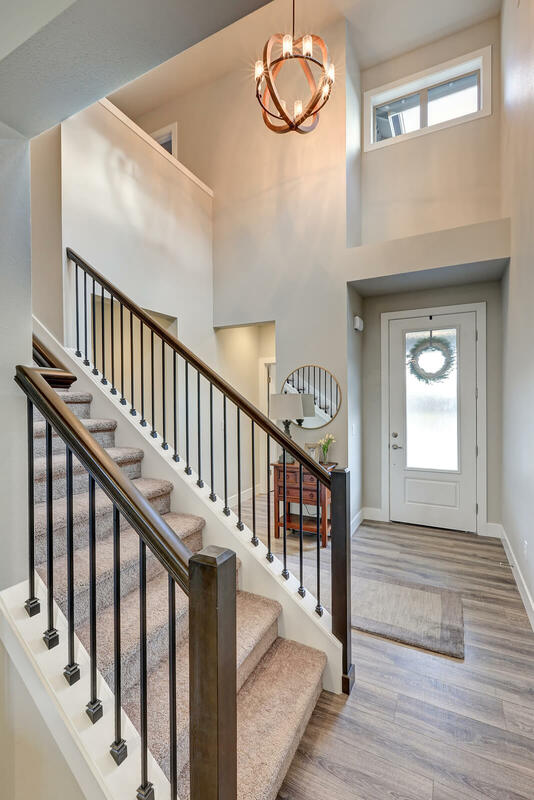 The design experts and highly-skilled craftsman at KBC Remodeling Services of Longmont have the experience and knowledge to create a beautiful and functional staircase in your home- call us to get started on this simple yet impressive home renovation project!